I recently noticed that my bathroom floor tiles were getting increasingly dirty day by day. I was not surprised as I clean it only once a month or so, but I quickly realized that its not enough. As usual I started thinking about a possible solution to this like a typical design problem. I had to dedicate some good amount of prime time for bathroom cleaning on weekends; which I didnt want to do. The main issues that bubbled up from the above points were Time, Effort and Quality and that's what I had to crack; and i came up with this solution. This takes less time and effort and as a result I can do a good job of it. By the time I finish all the parts the first part would have become a bit dirty, so I start again. 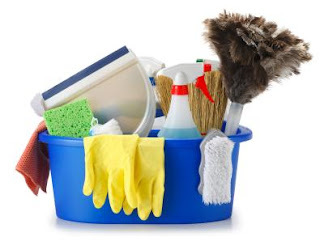 After the bathroom is considerably clean, then do it on a need basis, ie clean wherever gets dirty. Its also encouraging for me to see the cleanliness so that i'm more enthusiastic to maintain it. I think I'm on the right track. My bathroom is a whole lot cleaner now. Don't attempt to design and build a product in its entirety on day one. Have the bigger picture in your mind but take the most important/basic feature and build it with the right depth, quality and polish. Add the just enough ancillary features to make the basic stuff look complete. This will also help to channelize the energy of your resources. Once the first set of features are done well, take the next. Once every feature is done with the desired quality, revisit the first feature and continue the cycle. This will make the product live and remain clean.